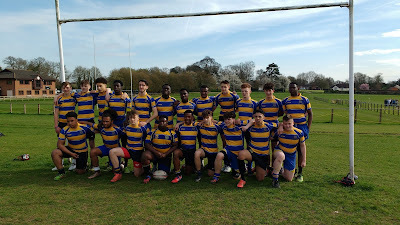 After leading for most of the game, Rutlish U16 lost in the Surrey County Rugby Cup final yesterday after shipping a couple of tries towards the end of the game. 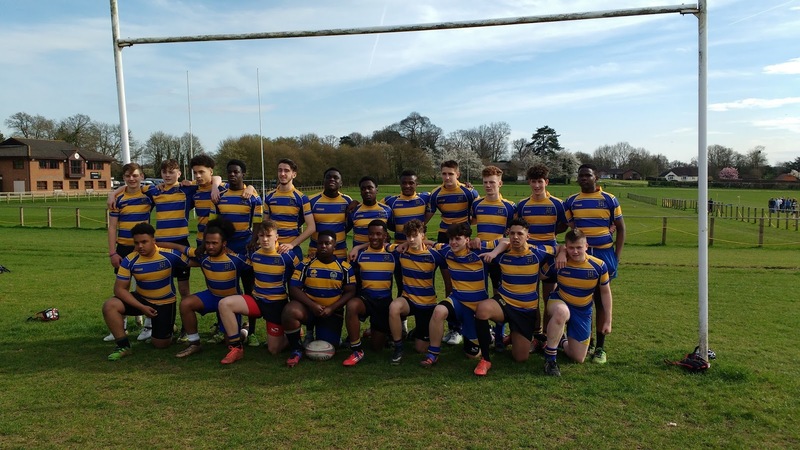 Tries for Jonny and Ben in their last game for the school, but I am sure they would have swapped individual notches on their belts for a team win. The atmosphere was subdued when I popped my head in the changing room after the match. Windows 10 includes Cortana, a voice-activated personal assistant, not dissimilar to Amazon's Alexa. 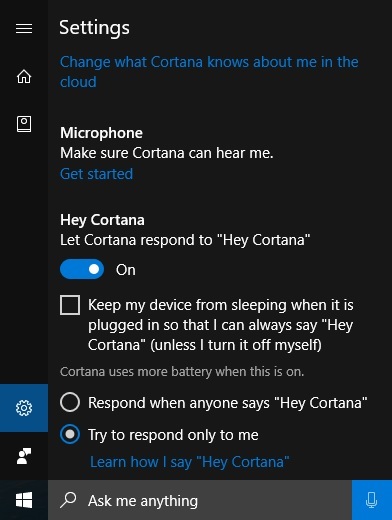 It doesn't work out of the box however, you have to enable it to respond to the "Hey Cortana" wake command like what I did below. So now you know. Scarlett Johansson's Samantha (an intelligent computer operating system expressed as a female voice) was science fiction in the Spike Jonze movie 'Her' in as recently as 2013. Now in 2017 I talk to speakers (Alexa), my phone (OK Google) and my PC (Hey Cortana) and they Little-Britain-We-Are-Ladies back. We only came second in the quiz last night; a narrow defeat for which I was largely to blame, rashly contradicting Andy when he said that asparagus was a perennial vegetable like rhubarb. It turns out that such perennials are parts of plants that are prepared and eaten as veg while the plants live on for next year rather than being completely harvested. I was thinking of the word perennial as an adjective that means lasting a long time, and couldn't relate that to the fleeting six week asparagus season. More fool me, you may think. Possibly not the greatest anecdote in history, but it is how things went down in the Sultan's fortnightly bun fight. Google Home speaker £129 April 6. All-New Fire TV Stick with Alexa Voice Remote | Streaming Media Player £39.99 April 6. The report went a little under the radar due to blanket coverage of last week's Westminster attack, but the Taliban have recaptured the crucial south Afghan district of Sangin. 456 British troops were killed in Afghanistan. Of those, around 114 died in the city of Sangin. Our troops have performed magnificently in Sangin and I pay tribute to the thousands who have served, to the over one hundred who have given their lives, to the many who have been wounded. They did not die in vain. They made Afghanistan a safer place and they have made Britain a safer place and they will never be forgotten. They did die in vain. They didn't make Afghanistan a safer place and they haven't made Britain a safer place, and they are being forgotten if the deafening silence around this latest development is anything to go by. Sangin is considered the bloodiest battleground of Afghanistan by both the British and the Yanks. Both nations lost over 100 killed in action there along with several hundred moderate to severe casualties. Here is a dated list (US format) of the Americans who died there when they took over from us and after Cameron's boast of "huge achievements." 9/28/2010 Lance Cpl. Ralph J. Fabbri - USMC 1stMarDiv, HQBN, H&S, Combat Camera. Was an attachment to 3/7. Simply drill a pilot hole in the broken fixing and screw in the LH-threaded extractor for easy removal of broken screws and bolts. Back in Cardiff and determined to sort out the downstairs toilet window. I try to get to the gym every day but I seldom share my insights on these spindrift pages. Do not burst into tears reading Lit by Mary Karr when you are doing half an hour on the recline exercise bike. It plays merry hell with your hormonal profile. Prodnose: A memoir, superficially addressed by a parent to a child, from an author with a complicated relationship with alcohol and Catholicism? Myself: I bet you didn't see that one coming. LONDON — A knife-wielding man went on a deadly rampage at the heart of Britain's seat of power Wednesday, plowing a car into pedestrians on London's Westminster Bridge before stabbing an armed police officer to death inside the gates of Parliament. Five people were killed, including the assailant, and about 20 others were injured in what Prime Minister Theresa May condemned as a "sick and depraved terrorist attack." 12 barbecued things you should eat in Wales if you're obsessed with brisket and pulled pork. Two years ago (Icons passim) it was just the Hang Fire girls. How quickly things change. I am due back in Cardiff this weekend by the way. Ben and Rutlish are at the National Schools 7s today; live coverage above. I will try and get over to see the lunchtime game; pitch A1 Richardsons Evans Memorial Playing Fields. Chelsea beat Spurs 7-1 in the second leg of the FA Youth Cup semi-final. Callum cames off the bench to score three minutes and twenty seconds into the highlight reel above. Back on planet Earth the Old Ruts U16s were thumped by KCS yesterday. Ben will be playing at outside half if they keep to the usual line up. Callum (Icons passim) started for Chelsea against Spurs in the 2016/17 FA Youth Cup the day before yesterday. You can see him go close to scoring thirty odd seconds into the highights above. Only those players between the age of 15 and 18 on 31 August of the current season are eligible to take part, which puts him in the 15 year old cohort. Quite an achievement. My father, as a forensic consulting engineer, spent a lot of his career giving evidence on technical issues in court. I can remember him saying that Marisa Tomei as Mona Lisa Vito's peformance as an expert witness (above) was vaguely credible as well as hilarious. It was a quarter-century ago yesterday when the movie My Cousin Vinny made its debut in theatres. Over time, the comedy and its leather-jacketed, smart-alec hero, played by Joe Pesci, have swaggered into the pantheon of legal cinema, taking a seat alongside the genre’s dramatic greats, 12 Angry Men and To Kill a Mockingbird. Judges have referenced it in rulings more than two dozen times. Just this month, “Vinny” made a cameo in an opinion written by US Circuit judge Janice Rogers Brown in Washington DC. Lawyers talk about the movie with a Casablanca-like fondness. Professors at elite law schools have invited “Vinny” into their classrooms, using the film as a teaching tool for courses in evidence and trial advocacy. Wales could stay clear of big guns New Zealand, England and Australia in their World Cup pool if they beat France on Saturday. A victory away in Paris, combined with an Irish defeat to Six Nations champions England, would see the Welsh team jump up to fourth in the world rankings. That would mean them avoiding the other teams in the top four in their World Cup group, with the draw for the 2019 tournament in Japan to be made in May, based on the rankings after this final weekend of the Championship. It’s a far cry from this time last week when Wales were facing the prospect of finishing outside the top eight and ending up in another group of death. But their 22-9 triumph over Ireland has ensured that can’t happen and moved them up to sixth in the rankings. Regardless of how the Scots fare at home to Italy, Wales would go above them with a win over France, as it would be an away victory over a higher-ranked side than the Azzurri. And if Ireland lose to Grand Slam-chasing England in Dublin, then Rob Howley’s Welsh team would go up to fourth with a success in Paris. They wouldn’t need a bonus point. Any win would suffice. That would see them pooled with one team ranked 5-8 in Japan, plus three other lesser sides in the World Cup draw. So, if Wales beat France on Saturday afternoon, I will be supporting England against Ireland. Didn't see that one coming. I am back from Saalbach. There were 24 of us in the party and it was a great week, but Bondy isn't organising this trip again until the week after next. I have long had the idea of combining a Barcelona weekend with four or five days skiing in Andorra. Maybe this idea's time will have come in 2018. I am flying off from Gatwick South on flight BA 8612 to Salzburg at half past one this afternoon, skiing for a week in Saalbach. We are staying in Berger's Sports Hotel and BA 8613 should dump me back in Blighty at 18:30 on Saturday March 11. You are in charge while I am away. I have got my ticket for Jah Wobble. Ski Tracks for Android installed. I was an IOS man last time round. I have set up a (deep breath) TP-Link Wi-Fi Smart Plug Works with Amazon Alexa, No Hub Required, Control Your Devices From Anywhere HS100 (UK Plug) in the office. I can't help but notice that it is considerably cheaper than the Hive Active Plug I use at home even though it has wi-fi built into it. The TP_Link plug has to be configured via the Kasa for Mobile app (here's the Android version), there isn't a web or PC implementation. That said it is pretty straightforward, as is connecting it to Amazon Alexa, see http://www.tp-link.com/us/faq-944.html.